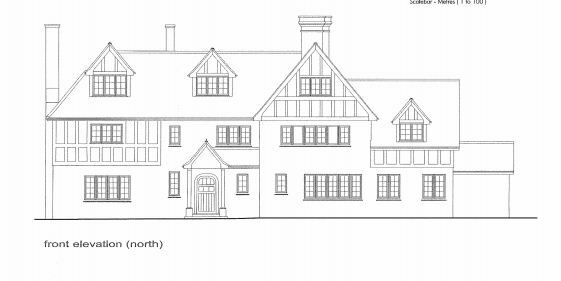 Boy George is locked in a battle with Camden council after plans to brighten up his multi-million-pound Victorian mansion overlooking Hampstead Heath were thrown out. The Culture Club singer hoped to increase the amount of natural light in his Grade-II listed home by building a glazed extension and chopping down three trees in the landscaped gardens. But Camden council rejected the proposals last September. He is now appealing against the decision. The 53-year-old Eighties pop star, whose real name is George O’Dowd, has lived alone in the house since his pop heyday 30 years ago. Documents filed in 2013 by Soho-based Syte Architects explain: “The house does not benefit from a great deal of natural light into its interior. Its frontage is orientated to the north-east. The rear has a southwesterly orientation but a combination of factors mean that the interior often suffers from poor levels and quality of natural lighting. But in a letter stating its reasons for refusal, the council argued the proposed extension would “appear as an over-dominant and incongruous addition” and would be “detrimental to the character, appearance and special architectural and historic interests of the hosted listed building”. A letter sent to the town hall from the Hampstead Conservation Area Advisory Committee stated that the scheme was an over-development and would affect neighbours. It will be Devon’s answer to the Angel Of The North: a giant statue of a naked pregnant woman holding a sword above her head. 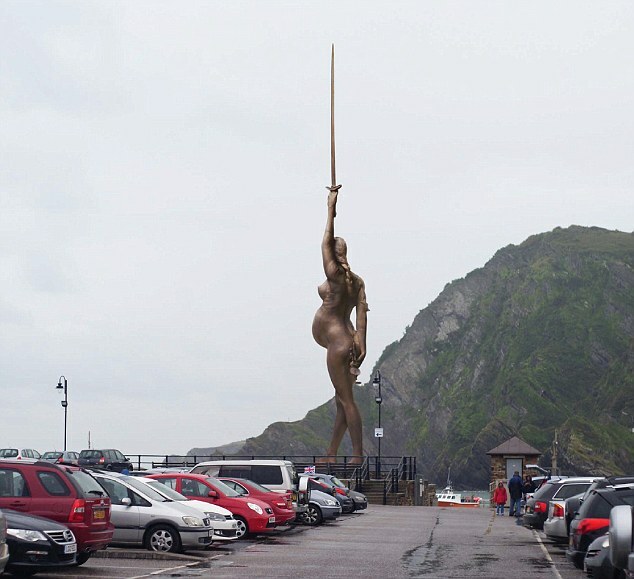 The monumental sculpture – which is a full ten inches higher than its 66ft North East counterpart – is the brainchild of controversial artist Damien Hirst, who wants to erect it in a car park at Ilfracombe harbour. Hirst, who lives in a £3.5 million farmhouse just outside the resort, has told local councillors they can have the statue on loan for 20 years if they grant him the necessary planning permission. Hirst’s idea for an ‘Angel of the West’ has already divided opinion and some residents in the town, which is a teenage pregnancy blackspot, have instead dubbed it ‘The Belly of the South’. But the proposal is expected to be given the go-ahead by councillors convinced it will attract hundreds of thousands of visitors. It would also be a boon for Hirst’s restaurant, 11 The Quay, which is just 100 yards from the proposed site. Planners will make their decision in September, and the sculpture, which currently exists in three sections, could be in place two months later. Councillor Mike Edmunds said: ‘We have got to find new ways of attracting visitors. Another councillor, Philip Webb, added: ‘It is going to make a big difference to the town and the local economy. ‘Damien wants to make a statement and this statue certainly does that. The bronze finished figure, which has a stainless-steel frame, will hold a glass-fibre sword aloft and a pair of scales behind her back and stand on a plinth of law books, staring out to sea. The scales and sword are similar to those carried by the Statue of Justice on the roof of the Old Bailey. One local source last night said 47-year-old Hirst had added the books at the 11th hour to ensure it would be taller than Antony Gormley’s Angel Of The North, erected in 1998. English Heritage has no objection to Hirst’s sculpture, thought to be the latest part of his Virgin Mother series, on the edge of an Area of Outstanding Natural Beauty. But council planners may have reckoned without public opinion. 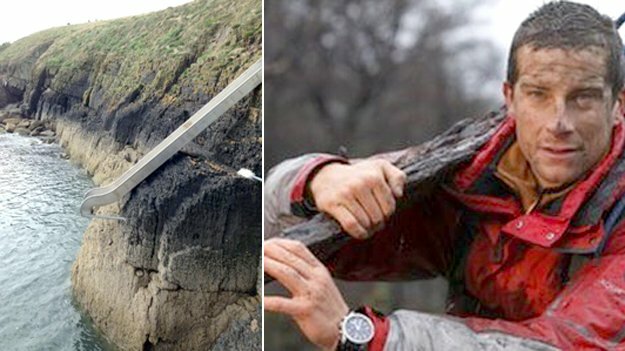 Bobby Davies, 69-year-old social secretary of Ilfracombe Yacht Club, said: ‘Oh, please no. Tell me they’re not really going to do this. ‘People will come to look at it – probably to have a good laugh at our expense. Given Ilfracombe’s past problems with teenage pregnancies I can’t believe this is so in-your-face. Property show presenter Kirstie Allsopp has hit out at her neighbours for their “incredibly annoying” basement conversions. The Location, Location, Location star said as well as causing disruption, the fashion for digging down to extend properties was also causing the housing market to stagnate. The 40-year-old presenter lives on a street in Holland Park where a number of neighbours, including Lord and Lady Sainsbury of Turville, have converted their basements. Nearly 40 applications for such work in the road have been submitted to the council in the past ten years, with a third submitted in the past two years. Miss Allsopp said: “Everyone is digging down right now to make extra space where they are. It’s happening in my street and it is incredibly annoying as there is so much noise and disruption. “At the top end, where the (stamp duty) rate is now at seven per cent, it leaves people with little option but to dig if they want more space. Last week, at least five properties in the street were being renovated, with builders at two homes admitting they were working on basements. Miss Allsopp’s outburst has ruffled a few feathers with neighbours on the west London street. Neighbour Jane Hewson, 35, who had a new basement installed, said: “It’s a free country – Kirstie Allsopp can say what she likes. I personally think people can’t complain. But Miss Allsopp won support from Guy Buckley, 76, who lives on her street. “I agree 100 per cent with Kirstie. Basement excavations always create damage to the neighbouring property – cracks and so on. Cherie Blair and her son Euan are under investigation for potentially breaching planning rules, it has emerged. Westminster council has confirmed it is looking into claims that a property owned by the wife and son of former prime minister Tony Blair has been divided into two homes without permission. A neighbour complained that the basement of Euan’s £1.3m central London apartment was being sub-let and had a separate letterbox and flat number, according to the Telegraph. The mother and son’s previous attempt to secure permission to create two dwellings was rejected, it said. The Blair family is “confident” the council’s investigation will find everything is in order, its spokeswoman said on Saturday. The day the sale went through in May 2010 Westminster council received a planning application to allow steps to be built down to the basement from the street as well as the removal of an internal stairway, but that was amended after objections from neighbours, the Telegraph reported. The new plans, which provided for a basement guest room, toilet and kitchen, were passed but with a warning that “permission does not authorise the use of the basement as a separate self-contained flat”, it added. Of course Cherie as a planning barrister will know that the rules against beds in sheds and unauthorised subdivisions are so weak anyone can drives a coach and horses through them. Providing they have retained the internal stair all she has to do is claim that there is a sharing of bills. Will her expert advice be brought in to play, as it might have been about breaching international law Mr Blair? The wife of actor Colin Firth has lost a planning appeal over her bid to install a large solar panel on their listed home, in the latest case to test planners’ resistance to attempts to improve the environmental sustainability of dwellings. Environmental campaigner Livia Firth appointed eco consultant Mr Woolf Inc to work up plans for the couple’s Grade II listed home in Chiswick’s Bedford Park – a conservation area and London’s first Garden Suburb. However, a planning inspector has now ratified local authority Hounslow Council’s decision in turning down the listed building consent application last autumn. The inspector, Roger Shrimplin, said the panel would be “unduly large” in relation to the roof slope and were proposed high up on the slope. “The panel would erode the architectural qualities of the listed host building itself and would cause actual harm to the character and appearance of the Bedford Park conservation area,” he said. He added that the sustainability benefits of the plan weighed in its favour but said the “harm” done to the “historic setting and the street scene” outweighed this. Shrimplin also criticised several “errors” on the application including the precise location of the panel on the house. “There are other significant errors in the drawings which have been submitted,” he said. Some people have more money than taste. Especially when it comes to kncoking down a fine house and replacing it with one which would be worth half as much. Here is the PINS reference if you want to object. Ray O’Rourke is caught up in a planning row with his local council after being denied planning permission to demolish his own home. 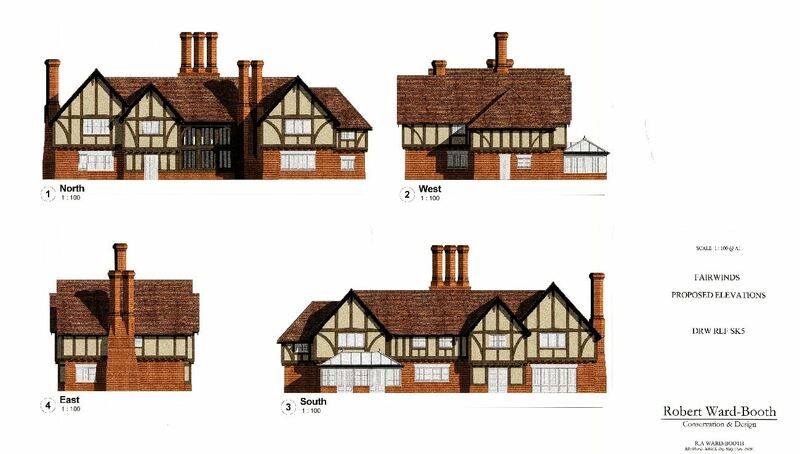 The Laing O’Rourke chairman is appealing against a decision by Brentwood Borough Council to stop him rebuilding his house in the exclusive village of Fryerning. A high-powered team consisting of a planning agent, design expert and an architecture historian from Cambridge University argued O’Rourke’s case last week during an appeal against the council’s decision in October to turn the plan down. O’Rourke wants to totally rebuild his property after previously being granted permission for a front and back extension. The Brentwood Gazette reported the council turned down the demolition plan because the house is of “considerable architectural merit and makes a positive contribution to the character and appearance of the Conservation Area”. O’Rourke’s design team said rebuilding from scratch would allow for a “higher level of design quality” than could be achieved if the existing building was extended and is in accordance with the Government’s new National Planning Policy Framework. Robin Carpenter, Essex County Council’s heritage expert, said the current building was inspired by Essex architect George Sherrin and demolishing it would be a “huge loss” to the Fryerning Conservation Area. Bur the O’Rourke team said the council should not “over-egg” the importance of Sherrin’s work and added there was no evidence the house had any link with the architect at all. They also argued the new plan is beneficial for the openess of the Green Belt in Fryerning because its footprint is 47% smaller than the extension design. O’Rourke did not attend the meeting in person. A decision by the planning inspector is due to be made later this month. A MULTIMILLIONAIRE businessman, whose firm is in charge of overseeing the construction of the Olympic park in Stratford, is involved in a planning dispute in his own back yard. The 65-year-old boss of Laing O’Rourke is worth an estimated £280 million, according to the Sunday Times Rich List 2012, and ranked just 20 places below the Queen. His firm has responsibility for the overall programme ensuring the Olympic park is delivered on time. A team representing Mr O’Rourke told a Government planning inspector that knocking down and rebuilding the mansion, in Mill Green Road, will be of “material benefit” to the area. A planning agent, design expert and an architecture historian from Cambridge University joined forces at the town hall on Tuesday last week to appeal against the council’s decision in October to turn the plan down. The main reason given by the council was that the house is of “considerable architectural merit and makes a positive contribution to the character and appearance of the Conservation Area”. But Robert Ward-Booth, the man behind the new designs, said building from scratch would allow for a “higher level of design quality” than could be achieved if the existing building was extended and is in accordance with the Government’s new National Planning Policy Framework published in March. In September, Mr O’Rourke – the recipient of an honorary knighthood last year for services to construction – was given planning permission for a two-storey front extension and rear extension by the council, before deciding to apply for a total rebuild. Speaking up for Brentwood council’s decision to block the demolition, Robin Carpenter, Essex County Council’s heritage expert, who was flanked by Town Hall planning officer, Kathryn Matthews, made a case that the building was inspired by Essex architect George Sherrin, and as such, destroying it would be a “huge loss” to the Conservation Area. Mr Sherrin, who died in 1909, designed a number of large houses in neighbouring Ingatestone, including several in Station Lane. Mr O’Rourke’s team also argued the new plan is beneficial for the openess of the Green Belt in Fryerning because its footprint is 47 per cent smaller than extension design. But Mr Carpenter said Fryerning Conservation Area is a designated heritage asset and should be protected from destruction under legislation. A delegation of three Fryerning residents who all backed the council’s decision to block the demolition also attended the hearing. Mr O’Rourke did not attend the meeting in person and declined to comment when contacted by the Gazette. A decision by the planning inspector is due to be made in about four weeks’ time. I was researching for my series – planning applications of the rich and famous, the intriguing hint that one of the things Chinese political gangster Bo Xilai is being charged with is a planning enforcement issue, demolishing half a sacred mountain in a national park without consent to erect a monument to the Chinese Police. Sadly I cant bring you a photo of this sites, of great cultural significance and near the site of a maoist era memorial of a massacre, because the area’s tourism webpage has very colourful English, no photos and rather unexpectedly turns into the worlds worst cookbook. Many people from the video In highly coarse prison conditions, his efforts to learn technological and cultural perception, his chalk and Wong Nai set into operation with the toilet paper, causing numerous visitors to stop in this meditation: how today’s children live cheerful, competent to sit spacious and shine classrooms,Gluttonous, learning and cultural perception…. Gele Le Gele farm farm music is not the orthodox farmyard farm economy based music, and numerous have amplified into a monetary leisure, tourism, vacation and distraction resort Villa had….. Currently, the town has 43 farm amusement, including the Heavenly Lake Resort, home observance, dragon leisure union, Cave farm melody and other characteristics of the farm a number of melody have been created and continue to amplify the scale, improve grades. Many units also City Tourist Board for a According to lacking statistics..
fried chicken with hot oil must be flamed, or chicken will not work very long thump dry arrival, even now such a long deep-fried dried, it is truly done, a hunk of dead meat, difficult to dine, not taste at all complete, so the fire have to be huge, deep-fried frail outside, and there is too relatively soft. Sounds an intriguing place, but might take a sandwich with me. The Sun on Sunday has a good old fashioned News of the World style exclusive over how Frank Lampard made a £ three million pounds profit for an additional house at his home in Esher after hiring the vice chair of Elmbridge Planning committee to ‘help in fill in the forms’. The story does nopt state it but im 100% sure his plannin g consultant and architect know how to fill in tmhe forms on ONEAPP. The England ace hired flash Tory David Archer — nicknamed Boycie because he looks like Del Boy’s wheeler-dealer pal in Only Fools and Horses. Bentley-driving Boycie, 65, filled in forms and helped mastermind an application to build a new luxury home in the grounds of Lampard’s property in Esher, Surrey. Well-heeled locals are furious. One said: “We know no law has been broken but what the hell is this councillor doing filling in forms for Lampard. There is astonishment this was allowed to happen. Of course when it came to committee he declared an interest and left the room. Which illustrates why elected officials, public servants and civil servants should be barred from acting in such a capacity. Indeed many countries have generalised ant-corruption legislation preventing payment to lected official concerning any activity to which they or any other elected official has power over. Since the introduction of the Bribery Act bit is only an offence to ‘to induce a person to perform improperly a relevant function or activity.’ or to make payments to a foreign official to obtain business or advantage in business’ and the official is neither permitted n…to be influenced in F’s capacity as a foreign public official by the offer, promise or gift.’ So it is illegal to make such payments to foreign officials, even as ‘consultants’ but not to domestic ones. Indeed it is not even illeagal to undertake the all too common practice of planner or building reg offier making an application (under another person’s name) to the authority where they work. Transparency International have been calling for such leggislation for years. I presume Francis Maude would make the preposterous claim that prevention of corruption falls under the ‘one in one out’ rule and so would be ok if you scrapped Health and Safety legislation instead.